Looking for Furniture So Impressive It’s Art? 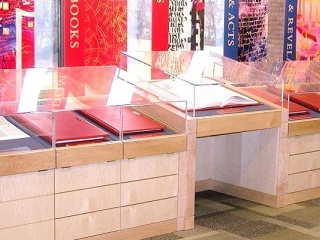 Bayne’s Quality Custom Furniture creates furniture and other pieces that embody the marriage of function and artistry. Contact us to see how we can make something special for you -- and generations to come! Our experience and professionalism, whether we are working on projects in homes, malls or office complexes, can generate significantly increased value. 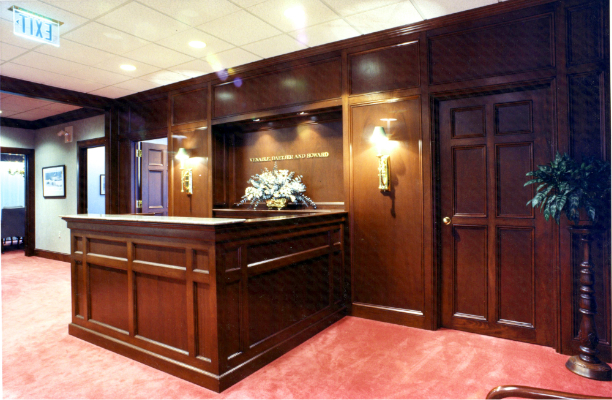 Bayne’s Quality Custom Furniture has a proven track record of delivering quality work to our commercial clients. We coordinate with other vendors. We offer flexible scheduling, completing projects at night and on weekends, when necessary, to ensure minimal disruption. 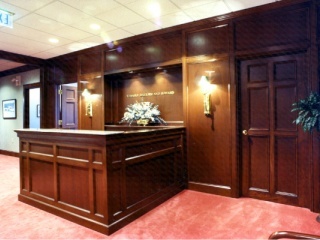 We have worked in a variety of commercial settings. 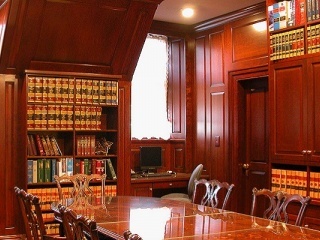 We have created custom wood millwork for retail clients, office work including reception areas and libraries for law firms and other professional institutions, including hospitals and universities. See our Commercial Portfolio. We build to industry standards, including all facets of AWI specs. We work with builders, architects, designers, contractors and others to ensure that all specifications and deadlines are met. 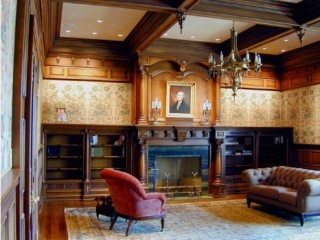 Our portfolio of residential projects ranges from ornate custom stairways, one-of-a-kind bars and libraries, to desks, bookcases and other furniture. Our work on residential projects includes everything from ornate custom stairways to one-of-a-kind bars and libraries, to desks, bookcases and other furniture. We take great pains to ensure that whatever we develop for a home fits in with the other aesthetics of a space while conveying a sense of beauty and individuality that makes it an immediate heirloom. We develop a shared vision with our clients, building on their vision with our experience and expertise. 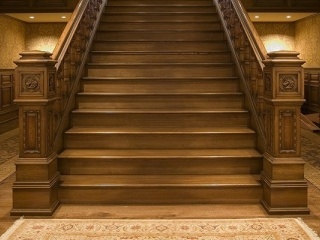 We listen carefully, investigate fully, then suggest what is right for a project. We are experts in matching finishes to existing pieces, using painstaking methods to ensure the perfect match. 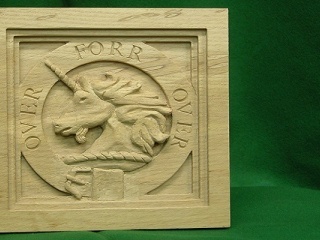 We can even match pieces, or build a replica of a family heirloom. 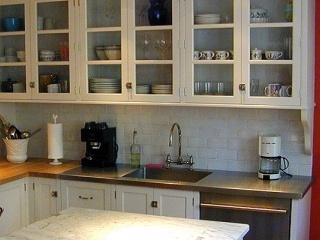 We work closely with owners, interior designers, architects, construction crews and others in creating beautiful cabinetry and millwork that meets the criteria for form and functionality. No matter how big or small the project is, we take the same pride and interest in making it uniquely special.